Which Age of X-Man mini are you most looking forward to? 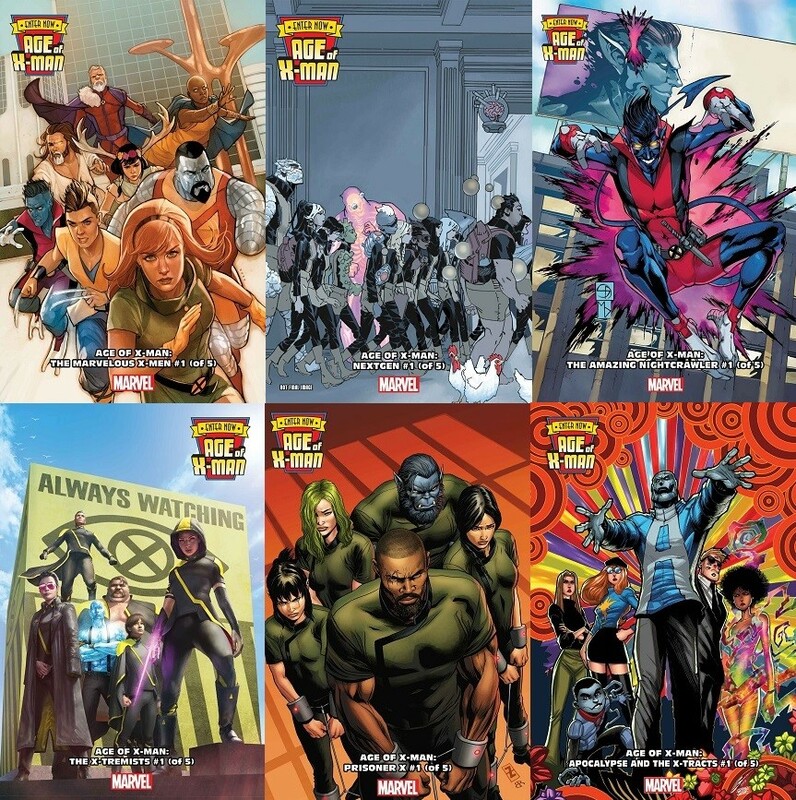 View Poll Results: Which Age of X-Man mini do look forward to? Thread: Which Age of X-Man mini are you most looking forward to? Which of these are you most looking forward to and why those are the ones you think you'ld like? Now for those haters, let's keep this thread on topic. Prisoner X because it's the only one with Polaris in it. I can also be reached on Twitter and WordPress. Polaris 50th anniversary minicomic written by me and drawn by Mlad, now complete! I'm probably gonna read #1 of each anyway. Personally I am mostly looking forward to NextGen, because it is finally a mini focusing on the Young X-Men again. But I will read all 6 of these mini's. I am tempted to get Pooky and A Tribe Called X, but sweet Jesus Murphy do I wish they would just do that concept in the main universe. Most of these concepts would be better in prime continuity. Hollywood Nightcrawler writes itself. It's the ultimate trap AU stuff can fall into. X-Tremists: Black ops team that hunts down "love" or anything that threatens the system. Apoc & the XTracts: Leftist militant group that wants to spread messages of love and rebellion to the world. And the team lineup is so good (would've prefered Oya instead of Eye Boy but whatever). Prisoner X: Bishop, Polaris, and "Dani" all interacting. Plus, the idea that the Danger Room is the prison of this world is so great. Also, I'm interested to see if we might get a different version of Gabby that might be more bloodthirsty like in OML's timeline. The only one I'm not caring for, ironically, is NextGen which is clearly just gonna be a "Glob saves the day cause he's so cool!" story. Actually, what I'm most looking forward to about the event is that if I get That 70's X starring Pooky and Ashton Kutcher, I can scream ENTER NOW, AGE OF X-MAN before I start an issue on the train. Five times. Not excited for any of them but Prisoner X looks the best. Nextgen because it's the only one without any X-gatekeeper. But I'm not very optimistic either way, since it's probably just Glob and friends. The Rogue one... o really there not a Rogue one. > ! Waiting to see what Nextgen has to offer. NextGen - I love me some teen mutant drama. Dang, Jesse-James, you're pretty quick on the draw. Had the same idea, but ya beat me to it. Prisoner X & the X-Tracts for me, most definitely. X-Tremists also, to a lesser degree, 'cause premise-wise: rebels > enforcers. They all look & sound interesting enough tho, IMO. Last edited by Heroine Addict; 12-24-2018 at 06:55 AM.